Agro-region: Denmark - Euphorbia peplus L.
Euphorbia helioscopia L., which has somewhat larger dicotyledon leaves and true leaves. Oval with entire leaf margins. Stalked. Smooth surface. Length approx. 5 mm. Inverted egg-shaped with entire leaf margins. Stalked. Smooth surface. The true leaves contain latex, which can be seen by squeezing a torn-off leaf. Length approx. 4 mm. 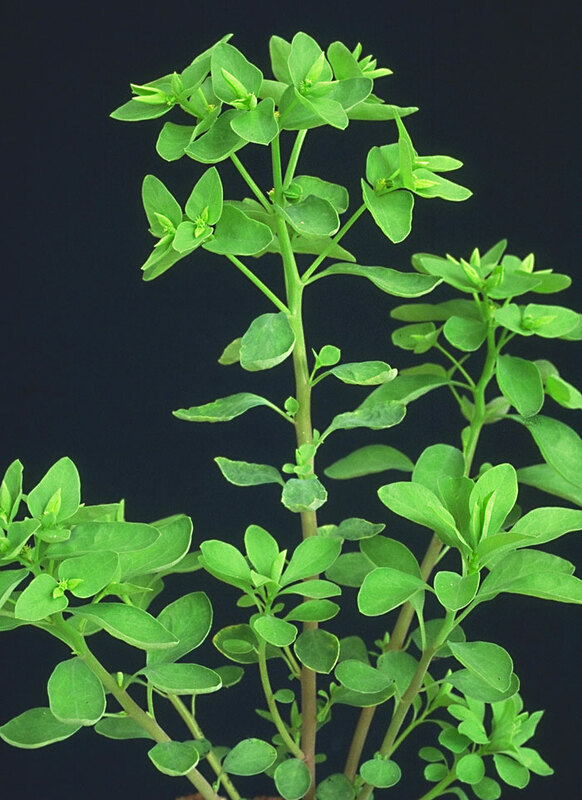 Petty Spurge is a small plant with a 10-20 cm high, erect stem, which is forked at the top, hence its Danish name “forked Spurge”. The entire plant contains large amounts of latex. Petty Spurge is distinguishable from Sun Spurge by its leaves not being finely toothed on the extreme parts of the leaf. 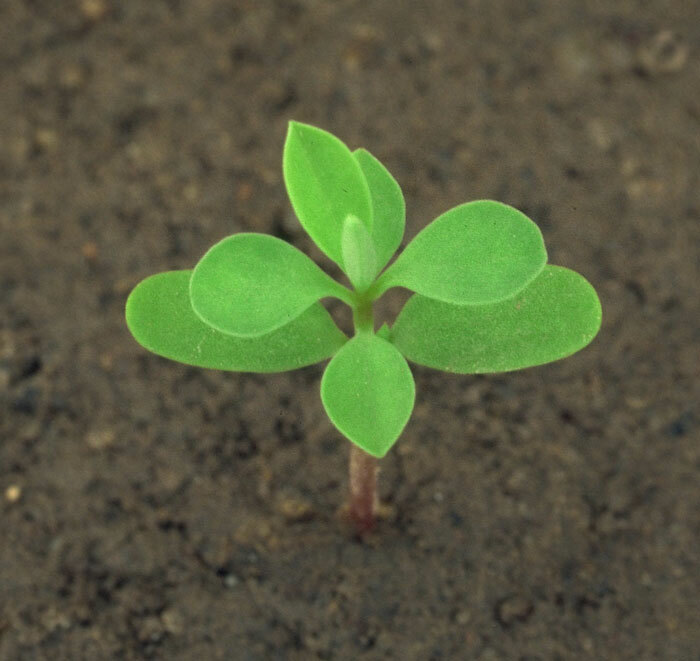 Seed production: Up to approx. 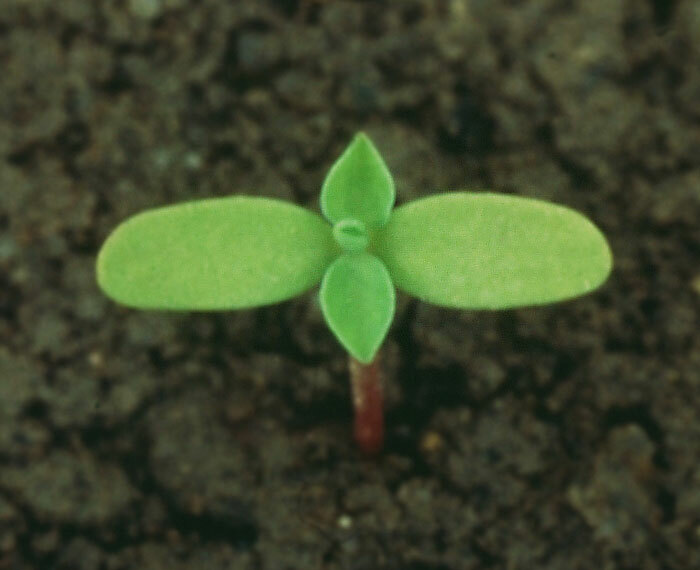 300 seeds per plant. Inverted Beetle-shaped with or without attached porcelain-like basal appendage, the “head”. Each of the 6 sides of the surface has 1-4 deep, circular or oval pits. The surface is covered with a dull, foam plastic-like layer, thickest on the raised surface between the pits. Thousand grain weight 0.6 g.
The species is found throughout Denmark and is mainly found in open and/or late sown spring crops. 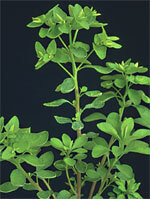 Petty Spurge is usually among the less important weed species. 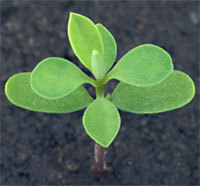 For treatment options, consult 'Herbicides Across'. For more options, consult 'Main Menu'. 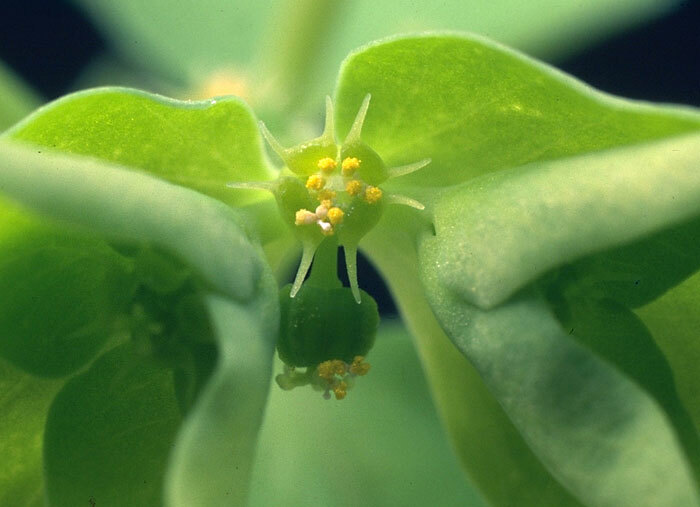 Latin : Euphorbia peplus L.
Crop Protection Online is published by Department of Agroecology, Aarhus University and SEGES. Informations for which license is not needed may be used with reference of source.